We are delighted to offer this two bed second floor flat. 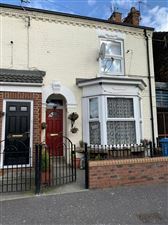 Situated in west Hull directly opposite the Royal Infirmary, the property is presented to a good standard throughout. Off-road parking is available to the rear of the property. We are delighted to offer this two bed first floor flat to the market. Situated in west Hull directly opposite the Royal Infirmary, the property is presented to a good standard throughout. Off-road parking is available to the rear of the property. We are delighted to offer this one bedroom first floor flat to the market. 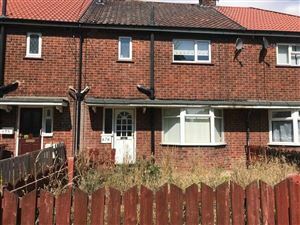 Situated in west Hull directly opposite the Royal Infirmary, the property is presented to a good standard throughout. Off-road parking is available to the rear of the property. Fantastic 3 Bedroomed Mid Terraced property is now available for sale, in an ideal location on the outskirts of the city centre, this 3 bedroomed family home is a fantastic investment opportunity. The property boasts a large through lounge with dining area and on street parking, call 01482 31900 to book a viewing. 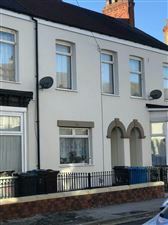 FOR SALE VIA ONLINE AUCTION Codys are pleased to present to the market this three bed family home located in a sought after residential area close to local schools and the University. The property boasts two receptions rooms and a fitted kitchen to the ground floor. Three bedrooms and bathroom to the first floor. With gardens to the front and rear and plenty of on street parking available. FOR SALE BY ONLINE AUCTION. Starting Bid £85,000. Terms and conditions apply.We welcome to the market this bedroom flat in this sought after and convenient location within easy reach of local amenities and public transport links. The impressive accommodation is well presented and of a good size and comprises ample living space and well appointed bedrooms.Please Note: We have not inspected this property. Fantastic 3 Bedroomed Semi Detached property is now for sale, the property boasts a large lounge area and newly fitted kitchen with integral oven and newly fitted carpets. The kitchen has large patio doors leading to a good sized rear private garden making this a fantastic family home to have. Take a look at this fantastic opportunity to own a commercial shop and two flats right in the heart of the City Centre on Spring Bank in Hull! 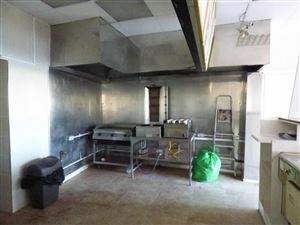 !This property comes complete with a downstairs studio apartment, and an upstairs two bedroom apartment.The shop itself is fully fitted with cooking equipment, walk-in fridge and freezer and shop front counter.